Today is one of the most active days for our Radar Horses. These are horses that have proven they have hidden potential by over-performing in one or more previous races. The overachievers might have been overlooked in the past, but not again. We monitor them and are alerted when these Radar Horses are entered into their next race. Six Radars are racing this Sunday from claiming to stakes at four tracks: Keeneland Race Track, Laurel Park, Oaklawn Park and Santa Anita. BATTLE OF MEMPHIS (PP: 7 ML 3-1) will take on 11 others in Keeneland's sixth race. They'll be running two-turns for 1 1/8th miles on Keeneland turf in an $81,000 Allowance race. The four-year-old broke his maiden at Gulfstream Park running a mile on turf in his last race. As the favorite, he broke from the seven spot, and ran wide around the first turn, keeping the leaders in sight. He closed the gap to a 1/2 length and running second at 6-furlongs before passing the GREAT KAHUNA and winning by 1 3/4 lengths. It could be the same result for BATTLE OF MEMPHIS if he runs the same race today. CLAUSE (PP: 1 ML 3-1) will battle it out in the Grade II, $200,00 Appalachian Stakes. Eleven three-year-old fillies will travel 1 Mile on Keeneland grass for the Appalachian Stakes trophy. 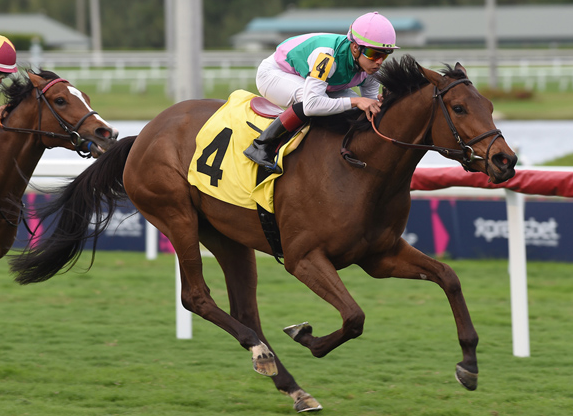 CLAUSE won her debut in field of 12 in a $50,000 Maiden Special Weight race at Gulfstream Park. She took her time out of the gate, running ninth, 8 1/2 lengths behind the leader. At 6-furlongs, she moved up to fourth, 4 1/2 lengths off the lead. From there, jockey Irad Ortiz, Jr stepped on the gas. She moved into the lead, putting second place finisher CANT BUY ME LOVE in the rearview mirror with a 1/16th to go. CLAUSE invades Kentucky today and trainer Chad Brown knows where to race his horses, winning at 27% with shippers. MR SMURTHWAITE (PP: 6 ML 4-1) is making his first start for trainer Jamie Ness after being claimed at Tampa Bay Downs. In his last race, he got his first W in two races, taking home the prize in a $28,000 Maiden Special Weight race. He pressed the pace from the second position early, ran neck and neck with KULIK BEAR through the turn, and edged away late to get his picture taken in the winners' circle. Today, the three-year-old will race 6-furlongs on dirt in the eighth at Laurel Park. It's a step up in class to Allowance $50,000. His last race speed rating ranks second in this field and trainer Ness wins at 25% following the maiden score. Additionally, the trainer adds blinkers for the first time today, a 26% winning angle. At 12-1, SECRET HOUSE (PP: 4) has the second longest morning-line odd in Oaklawn Park's eighth race. The long odds are despite a two-race winning streak at Oaklawn and hitting the tape first in three of his last four outings. He was claimed in his last race, 1 1/16th miles on Oaklawn dirt at the Claiming $30,000 level. Like he did in his recent three wins, SECRET HOUSE blasted out of the gates, took the lead, and never looked back. In doing so, he posted the highest last race speed figure for this group. The five-year-old is one of two, maybe three, frontrunners. If he can get away from the pack and has the lead in the stretch, 12-1 will look like a gift. 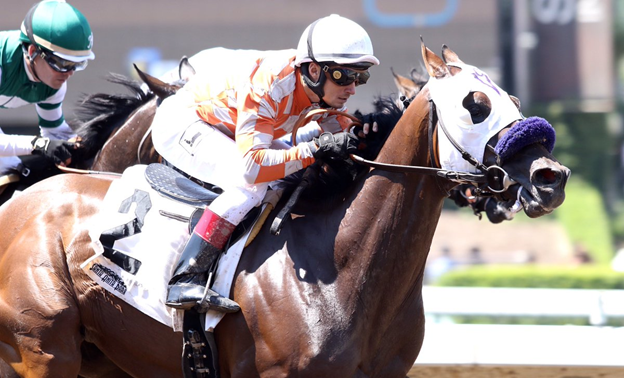 CONQUEST COBRA (PP: 6 ML 5/2) is the first of two Radar Horses racing at Santa Anita. The seven-year-old has enjoyed the majority of his success at Santa Anita. He's finished in-the-money in nine of 11 races at the Arcadia, California track. His SA record includes two wins, three seconds, and four fourths. Elsewhere, CONQUEST COBRA has three wins, two seconds and a third in 18 races. The horse for the course will try to add to his record in the second race, 6-furlongs on the dirt at the Claiming $25,000 level. It's the same class CONQUEST COBRA won at in his last race in a hard-fought battle. He broke fourth of five, 2 1/2 lengths off the pace, ran between horses on the turn, moved three wide into the stretch and traded head-bobs to the wire, winning by a neck. Reading between the past-performance lines, jockey Joel Rosario could have probably ridden any of the top three morning-line favorites. He teamed up with trainer John Sadler to ride CONQUEST COBRA. The jockey/trainer combo has won eight of their last 14 together. TREASURE HUNTER (PP: 1 ML 8-1) closes the show for Sunday's six-pack of Radar Horses. He won a $35,000 Claiming race for non-winners of three in his last effort. He stalked the leader for the first 6-furlongs and then ran away from the pack by 2 1/4 lengths. The four-year-old steps up to a $40,000 Optional Claiming race today. His workouts since winning on February 22nd suggest he remains sharp. TREASURE HUNTER put a bullet workout in on March 31st, ranking first of 50 at 4-furlongs. TREASURE HUNTER's recent racing form, bullet workout and Santa Anita history makes him a solid value play with 8-1 morning-line odds. Make sure you continue to check out our Radar Section. Not only does it keep track of Radar Horses, but we've got some great, original content for your reading pleasure.